Niobium is a soft grey, crystalline, and ductile transition element. Niobium is less electropositive and more compact when compared to zirconium. Niobium’s chemical properties are similar to that of tantalum. Its lower cost and greater availability make it more useable for less demanding applications. At cryogenic temperatures niobium becomes a superconductor. It also has the highest critical temperature of any elemental super conductors. Niobium is used in many superconducting materials, as well. 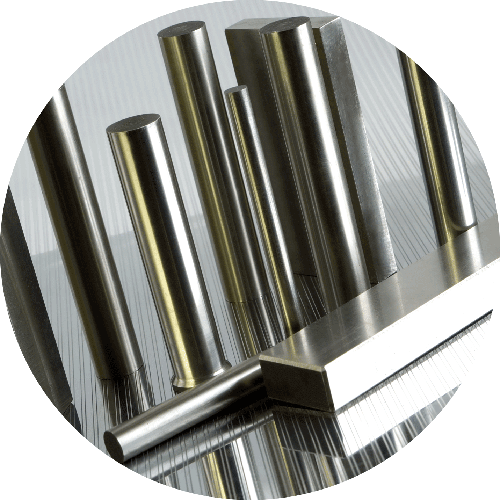 The temperature stability offered after the addition of niobium to super alloys makes it usable in jet and rocket engines. Other applications of niobium include nuclear industry, optics, electronics, numismatics and jewellery. Niobium is used in alloys to enhance their properties especially in steel that is used to build gas pipelines. Niobium is used in small quantities with cobalt, nickel and iron based super alloys making them usable in gas turbines, rocket assemblies, heat resistors, turbo charger systems and combustion equipment.